Tis the season for candy canes! Candy canes pop up in everything from body wash (my fave from Bath & Body Works), to hot cocoa and, of course, decorating. 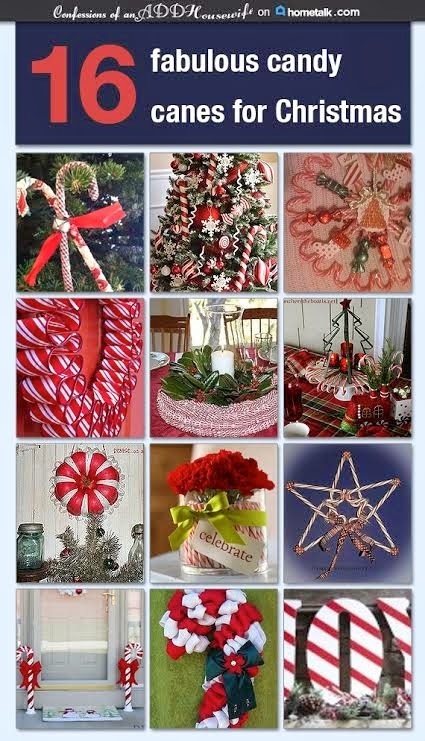 I was invited by HomeTalk to gather some really fun Candy Cane inspired decorating ideas. Head on over and check out my Candy Cane Creativity clipboard and all the other great ideas on Hometalk.